S2C Global—one of two companies in a partnership to export water from Sitka, Alaska to India—envisions water hubs in the Arabian Sea, East China Sea and Caribbean Sea, according to its 2010 second quarter U.S. Securities and Exchange Commission report. In July, S2C announced a water hub in India for distributing water from Sitka, a town of 8,600 people on Baranof Island in the Alaskan panhandle. S2C’s president Rod Bartlett, who had previously restricted his comments to press releases, spoke with Circle of Blue on Wednesday about the company’s business plans. While the East China and Caribbean hubs are planned expansions, S2C is concentrating on its Arabian Sea hub on the west coast of India to prove the feasibility of a regular bulk water trade. The company expects to complete its first shipment by the end of 2010. Bartlett sees bulk water as a logistics exercise. Pricing, supply and demand, transport costs and infrastructure must square. Only in the last 18 months has it become viable for large-volume water shipments, he said. The global economic crisis left a glut of tanker ships in its wake, pushing down the cost of chartering a vessel. Even cheaper are water bags, but the technology is still viewed as a promising curiosity. The economy will eventually recover and charter prices will rise, but Bartlett expects the shipping trade will find a new equilibrium that offers bulk water purveyors entry into the market. As befits the president of a company, Bartlett is bullish about his trade, but other people familiar with the bulk water industry are skeptical about the viability of an Alaska-to-India water business. Two concerns that came up most often in discussions were the price S2C is paying for the water and the transport distance between markets. “The premium market is the only way they could go and there are closer export markets with premium supplies: New Zealand and Tasmania,” Spragg added. New Zealand is roughly 4,000 km closer to the Persian Gulf than Sitka: a considerable advantage because shipping costs are largely a function of distance. Bartlett contends that distance is less a consideration than infrastructure. 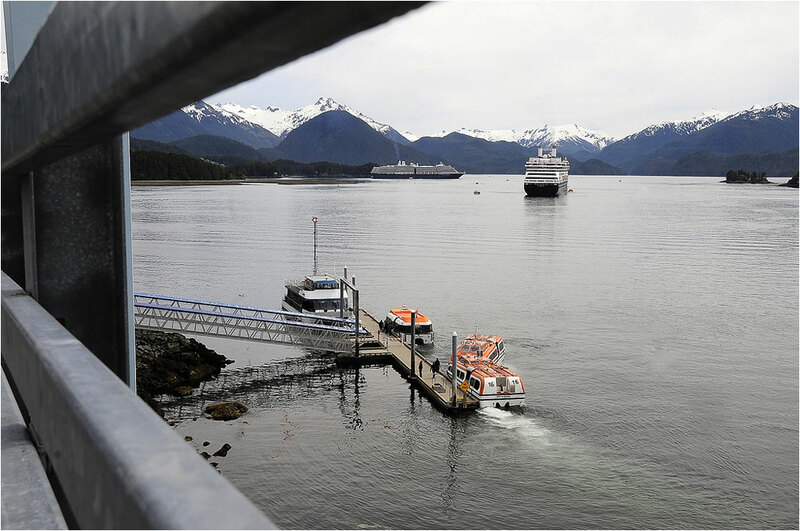 Sitka’s deep water port and dockside supply pipeline mean scale efficiencies for the amount of water that they can move. Strict environmental standards in Australia have driven up the cost of desalinated water to nearly a penny per gallon on average, according to an article in The New York Times. Bartlett says S2C can buy water from the city of Sitka, load it, ship it to India and unload it for $0.07 per gallon – a cost factor driving most of the skepticism. On the other hand, water shipments can be turned on and off in response to demand, thereby avoiding the capital burden of a multi-billion dollar desalination plant mothballed during a rainy period. Besides pricing and location considerations, potential deals in the bulk water business as a whole have been undermined by past chicanery, according to John Anderson of CWE, Inc., a New Jersey-based company involved in bulk water logistics and consulting. Anderson, who has worked in the industry since 1993, told Circle of Blue that tanker owners are the ultimate arbiters in the business since they control the means of transport. He knows tanker operators who have soured on the trade because prices were changed at the last minute by water depot owners looking for a better deal. Though Anderson said the bulk water trade is territorial with insiders protecting proprietary information that gives them an edge, Spragg said that openness is essential for companies trying to kickstart a business. Much of the business hinges on relationships with tanker owners, Anderson said, and an ability to manage often overlooked micro-details: things such as import permits and code regulations. Anderson said he knew of one transaction that was scuttled when the water importer failed to notify health inspectors and the ship was unable to unload. Because it is a small company, S2C does not have the strength to develop the water hub alone. However, the company does have the strength to bring in an Indian partner in a joint venture to build the infrastructure, Bartlett stressed, adding that S2C is looking to incorporate an Indian subsidiary. Bartlett said permits on both ends of the route are being finalized and construction for the India hub is in place. The tank farm to store the water is pre-fabricated while the pipeline at the Indian port is being fast-tracked by port officials. Brett Walton is a Seattle-based reporter for Circle of Blue. Contact Brett Walton and read more about bulk water exports on Circle of Blue.